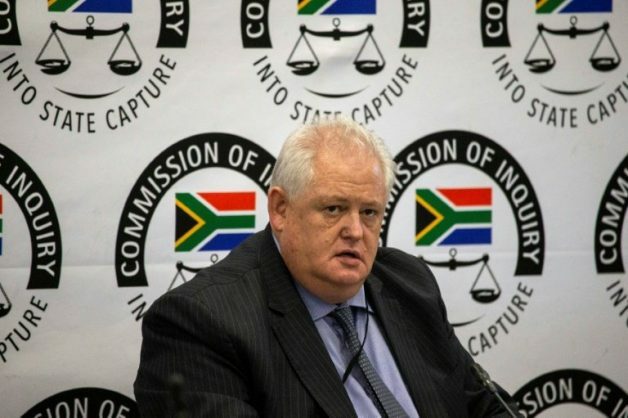 The ANC reportedly backed out of its application to cross-examine Angelo Agrizzi, the former chief operating officer of controversial facilities management company Bosasa, at the commission of inquiry into state capture. ANC spokesperson Dakota Legoete confirmed to Business Day that the ruling party would not be cross-examining Agrizzi because they believed he clarified the allegation he had made against the top six, stating that they received money from Bosasa. The African National Congress had, in March, applied to cross-examine Agrizzi after he made allegations that Bosasa had made large donations to government officials, including some to the top six of the governing party. He claimed he was aware of cheques of up to R12 million sent to the ANC top six, prompting Deputy Chief Justice Raymond Zondo to tell him that he must produce evidence to back up this claim. Justice Zondo told Agrizzi that if he couldn’t produce documents to back up this claim himself, he must approach the commission’s legal team to assist him. Former ANC treasurer-general Zweli Mkhize later confirmed that the governing ANC had accepted donations from Bosasa, despite the company being implicated in wrongdoing in a Special Investigating Unit report. Agrizzi said he knew of cheques delivered to the ANC top six, though he did not specify whether the cheques were made out to the party or individual members of the top six at the time, which included then ANC president Jacob Zuma, then deputy president Cyril Ramaphosa, then secretary-general Gwede Mantashe and his deputy Jesse Duarte, then chairperson Baleka Mbete, and Mkhize. “What the honourable chair has said is true. There are large donations. I know of large donations given to the top six at one stage of R10 to R12 million cheques that were taken there,” Agrizzi said. However, Legoete said in a statement at the time that Agrizzi’s testimony could not be left unchallenged. “The leadership of the ANC has publicly stated that it will, at an appropriate time, present itself to the commission where the ANC will make a full submission that will answer all allegations tabled against it. We, therefore, cannot wait for a comprehensive submission to the commission. We are confident that the commission will be able to afford the ANC the opportunity to cross-examine Mr Agrizzi on his allegations,” said Legoete.